My first-pass keyword research tool also gives me some good info about related keywords. This way I can start to get my bearings looking into a new marketplace. So that gives me some idea what we could expect for cost-per-click. Now we can use some rough estimates to try and model a funnel. So you can see from this example the margin for success is tight. It’s all about controlling the CPC. If we can find you clicks for between $0.50 and $1.00’ish it’s likely to be profitable right out of the gate. Google Ads gives me an awesome tool for keyword research and profitability estimating called the Keyword Planner. Let’s add some basic keywords and assumptions about sale value and conversion and see what we get. Another cool thing about trying stuff like this—low CPC’s mean we can get you a good amount of traffic without needing a huge Google budget. This way we can validate a bunch of our assumptions for less initial cost. At the end of that you’re going to have some great data. Which keyword concepts worked? Which didn’t pan out? How can you scale up user acquisition and what sort of investment would be required? Just for fun…one more keyword research tool I like to peek at—Google Search Trends. I can get historical data going back 5 years. I can see if something is growing in popularity (or not). And get some insight into any geographical factors, and more insight into relationships between keywords and concepts. Looks good. Overall marketplace growth makes for good search marketing. And with a limited budget looks like we’d for sure recommend targeting California first (not uncommon). This one looks promising. Low CPC’s and low competition is a nice soft starting point for search marketing. 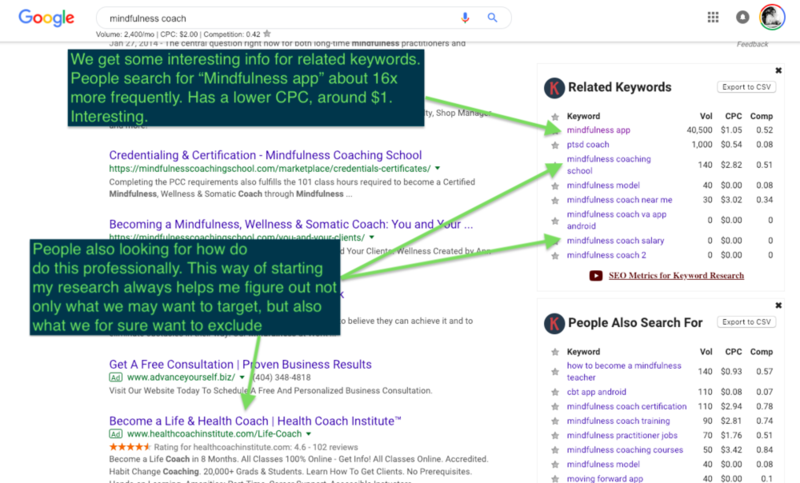 Things we find to be effective in paid search can be used to inform a content marketing strategy (aka let’s do blog posting, but let’s do with some intent, and use keywords we know have search volume and convert). 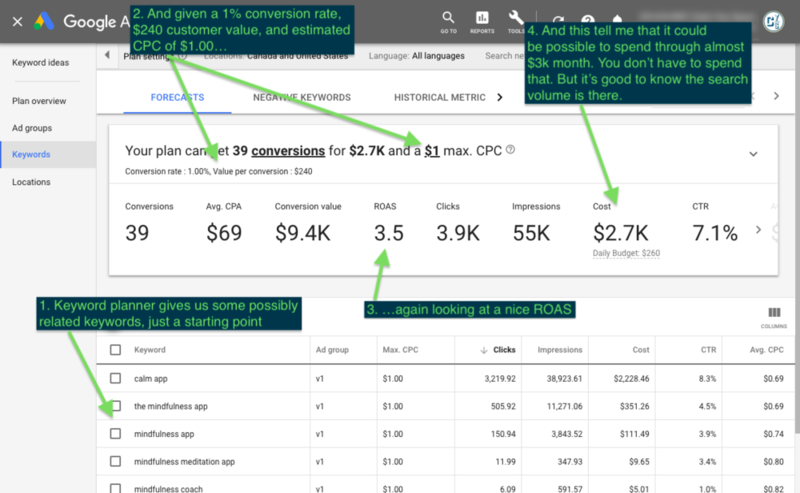 Bottom line—good way to get some initial targeted traffic, validate assumptions, and build a plan to scale.